An intense two-day education into one of our nation’s biggest agriculture commodities and it’s valuable diversities. America’s Corn Country, a tour through the fields of Iowa. On a crisp fall morning, I joined a group of amazing bloggers in Davenport, Iowa for a tour of the corn industry. An intense two-day dive into Corn 101. Outside of food blogging, learning about diet and farming has become a huge passion of mine. Learning about American foodways has brought this journey of mine full circle. See, I grew up in a part of the country where we don’t know out farmers, so having the chance to talk with them first hand about their issues and concerns is enlightening. To learn from the farmers first hand the pro’s and con’s of hot topics, like GMO’s, ethanol, processing, and even a little insight as to the economics and brass tax of farming. Talking about the hundreds of uses for corn makes it so much more than a seasonal side dish. We all know about corn syrup, but what I had never really but much thought into, I wasn’t aware of how many products corn could be processed and used for. 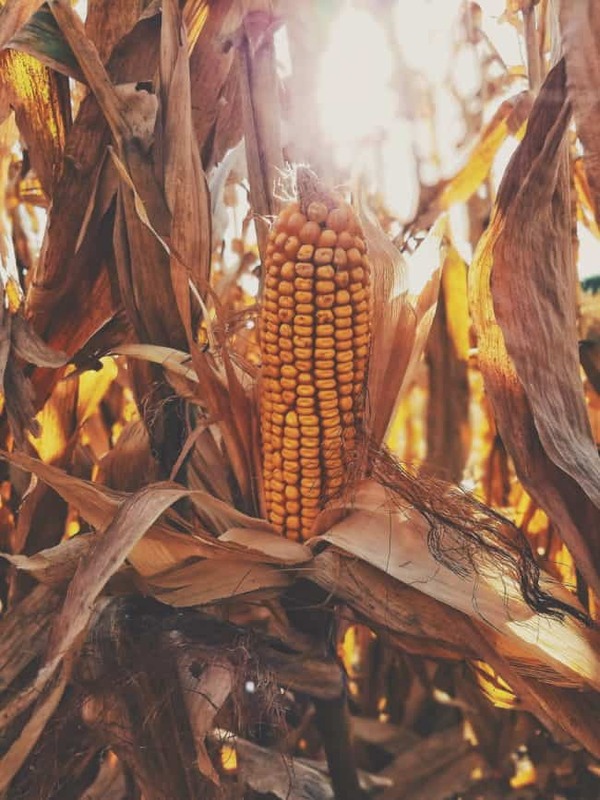 Corn, domsticated from grass plants some 7,000 to 10,000 or so years ago, is one of our most versatile agricultural commodities with a huge industry located right in American’s heartland. 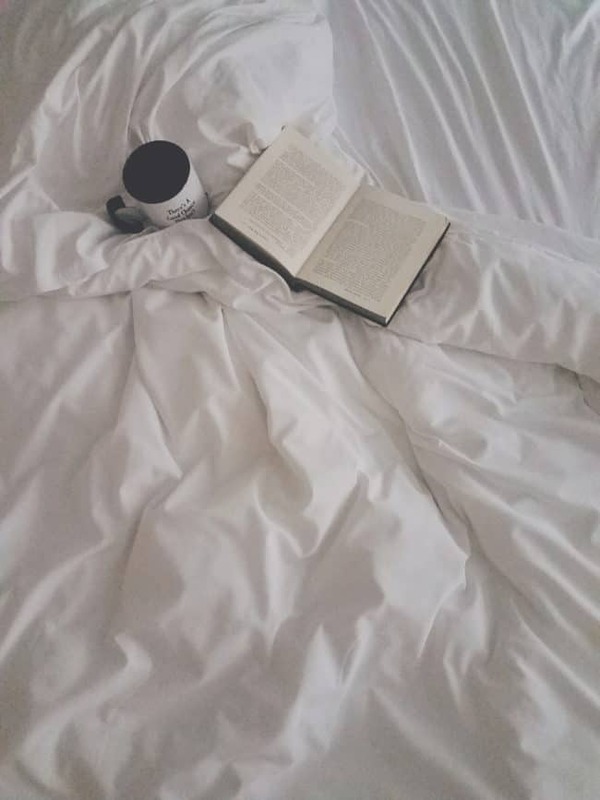 And I was about to dive right into the deep end of it all. We started early over pastries and coffee chatting further with Annette Sweeney, a local Iowa farmer, who took over the family farm in the hard economic years of the 80’s for farmers. Though college educated and a career in education, she came home to her farm. With a tough streak and a little sass, Annette taught herself much of what she knows today, becoming an expert and ambassador for farming. She spoke to us honestly and frankly about what it took to keep her farm and the work she put into it. As an outsider, it sounded romantic. And, I’m sure that nights of sunsets over the crops made it look that way from time to time. 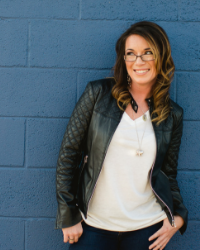 But, I am certain there were hard times and choices in between those moments that Annette and her family persevered through. She went on to serve as a member of the Iowa House of Representatives and is a spunky, fun and I am totally holding her to that invitation to the fair next year. 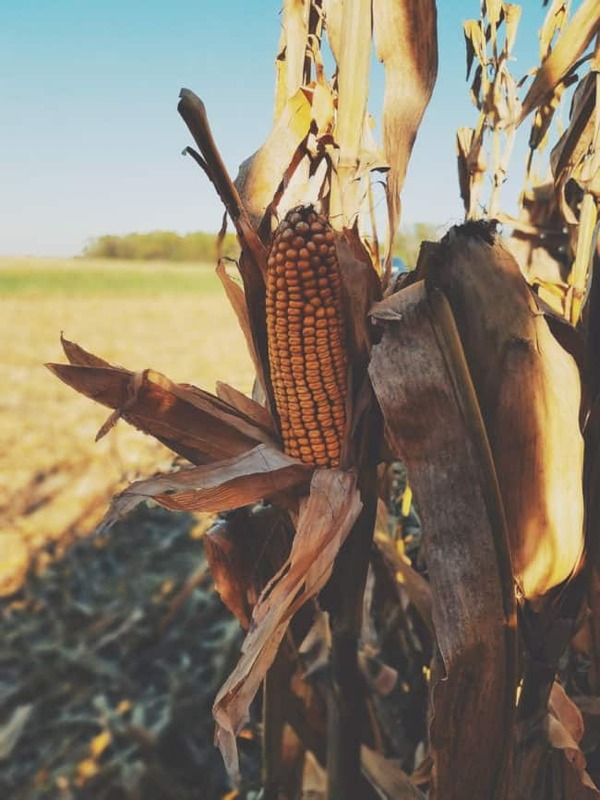 Iowa alone is expected to produce 2.7 billion bushels of corn on 13.6 million acres for the 2016/17 crop year and is the leader in corn production, providing 20% of the U.S. corn crop. But, after speaking with the farmers I learned, it isn’t always an easy win for the farmer’s out there planting and harvesting the crops. 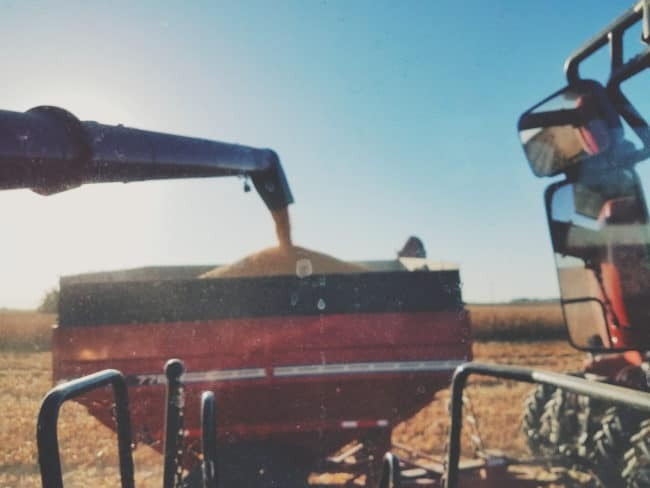 Prices fluctuate from year to year; weather patterns can cause havoc on an entire plant, and even the cost of farming increases with the price of land and the new tools needed to keep up with it all. Many of the acres of farmland are diverse from season to season as the farmers may choose to flip their crops to suit the soil’s needs and sometimes also run animals on other areas of the farm to diversify the income. Corn is more than just a feed crop. Actually, 41% of Iowa’s corn will go towards ethanol fuel. As older engines break down over time, new research is going into future motors so that ethanol could potentially be a viable fuel source. It’s also cleaner, and an open conversation with the American Lung Associate brought up some points for me to read into. However, with a semi-recent car, I am no longer going to be intimidated by the ethanol sticker at the pump and will do more research before I invest in my next car about the pros and cons of ethanol as a fuel source. After that, 26% of the harvest will go towards feed. Having been on a cow feedlot, seeing the food source is a balanced mix for the cow’s diet is important to the farmer for healthy animals. The grain mix, sometimes including corn, in the diet, is combined to give the right amount of energy for the desired growth rate. 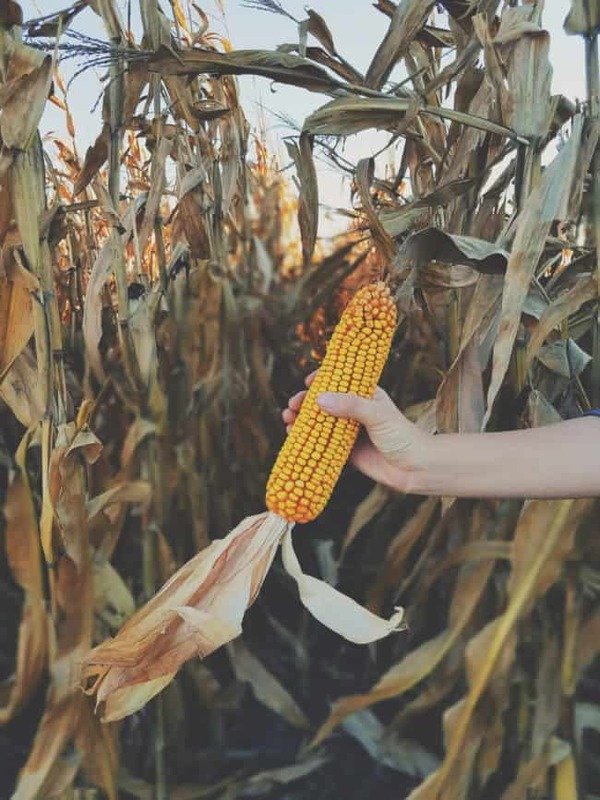 And lastly, 11% of the annual corn harvest is for food/industrial use (think dextrose, glucose, dextrin, maltodextrin, lecithin, fructose, high fructose, vegetable starch, sweeteners, syrup, vegetable oil, and sorbitol – yeah, that’s all corn). Corn is a huge industry in Iowa. 13.6 million acres of Iowa farmland will be used just for corn. That’s about half of the farmland in the entire state. Much to my inner 9-year-old boy’s dreams, I was able to hop on a combine at Kurt Hora’s farm and see the machine in action. His children played in the fallen stalks as we chatted about his operation and got an albeit brief feel for a day in his life. 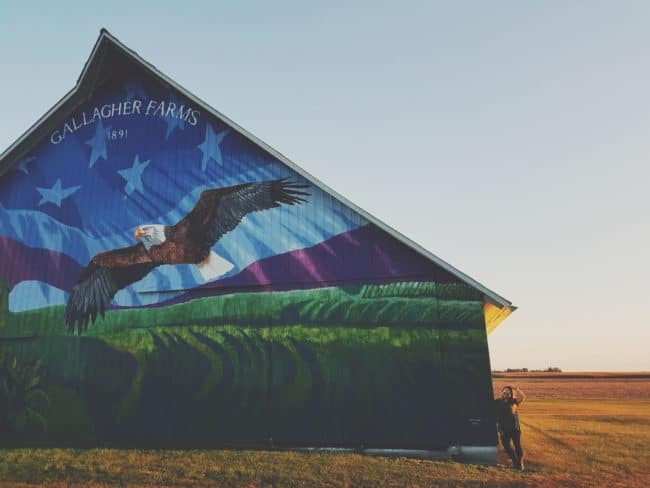 Lastly, we headed towards the Gallagher’s farm, where we enjoyed genuine hospitality, a homemade meal (and his award winning french fries). We sat with other farmers and families at communal tables around a buffet style meal and had an evening of open conversation. We also visited the Mississippi River Distilling Company, John Deer Pavilion, Kent Processing plant and enjoyed basement bowling of the Blackhawk Hotel, where we were staying during our CornQuest. It was a beautiful hotel (and possibly haunted – yay!) with spacious, luxurious rooms. If I was local (or if I pop through the Quad Cities again, I would love to go back and check out the on-site dining and spa. Do you have any questions about corn, Amerian farming, GMO’s ethanol or anything pertaining to this post? Chime in. Let’s open the doors between the farmer and consumer to get our questions answered honestly and openly. The title made me smile as the Basque people call their neighbours from Landes (where I now live) “Croque Maïs”, that means something like “crunch the corns”. My closest neighbour is… a corn field! Haha! See I didn’t know that 😀 Crunch the corns – wonder what it means? 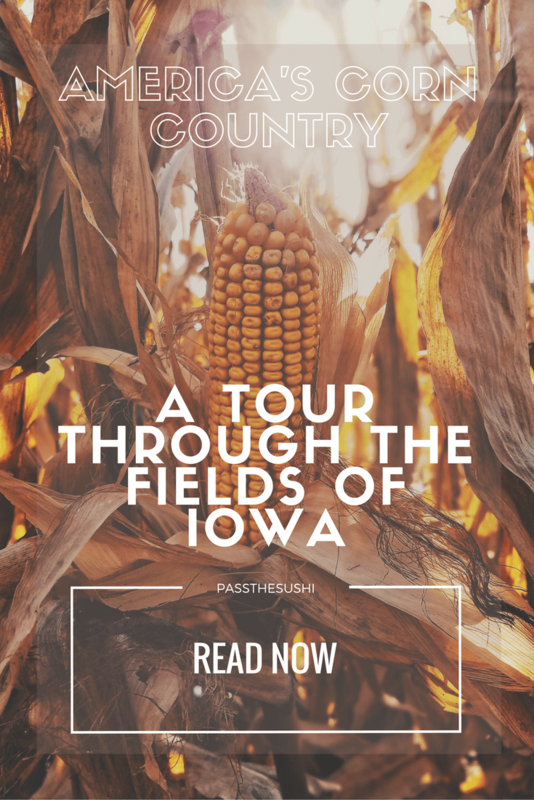 I loved reading about your experience in Iowa! Growing up in Iowa, I’ve always received A LOT of jokes about corn – there IS a lot of corn in Iowa. What people don’t know is what happens to that corn and how connected they are to it, regardless of where they are from! Thank you so much for sharing! I have to say, Jennie, it was really informative. I love seeing things like this in person because it shows me the volume of the things I take for granted.